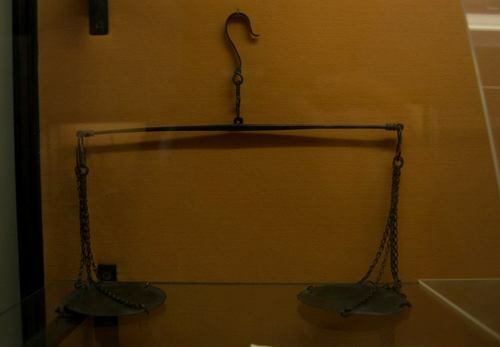 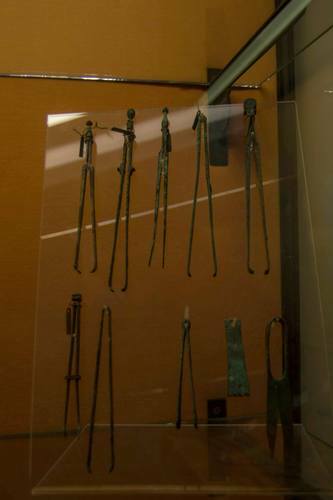 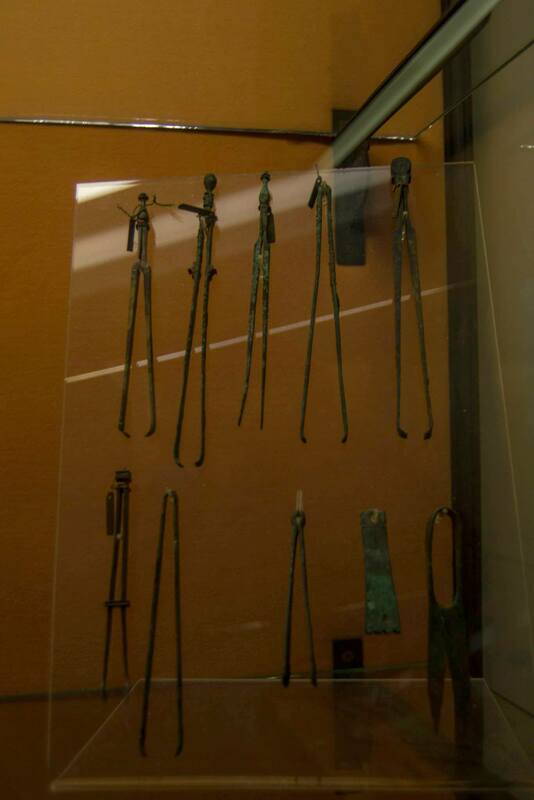 Showcase of surgical instruments conserved in the Museo Archeologico Nazionale of Naples. 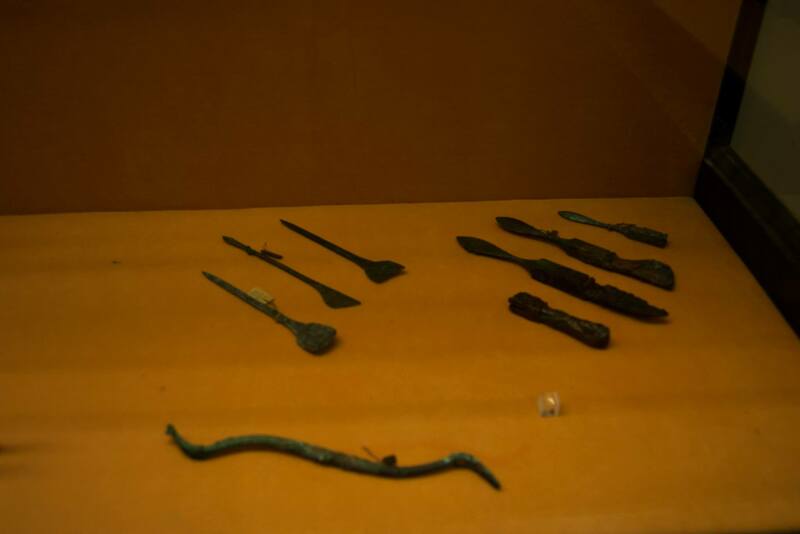 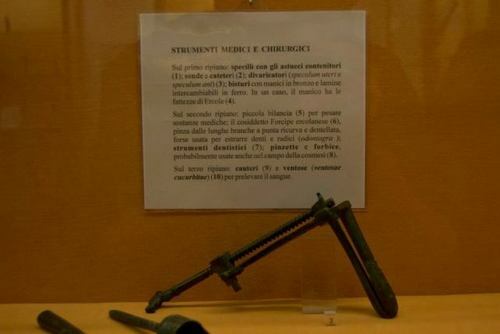 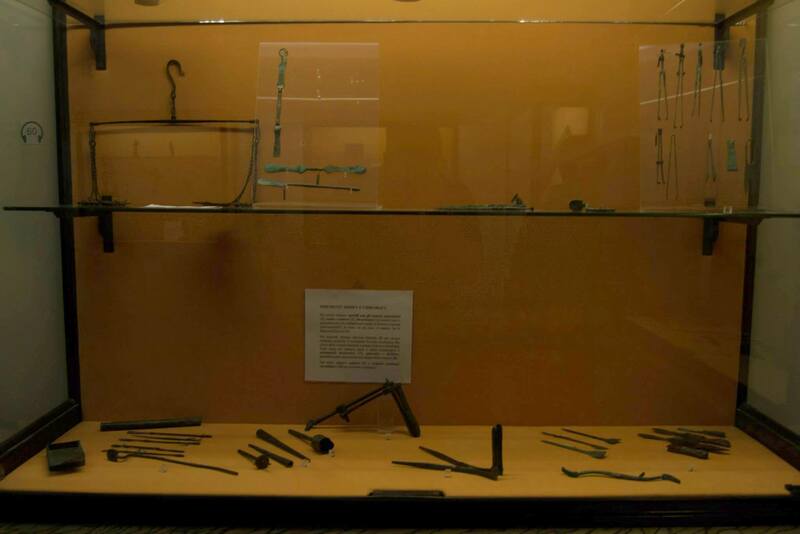 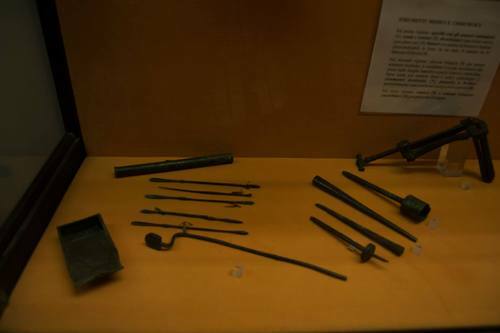 This includes ancient Roman surgical instruments such as: forceps, scalpels, catheters, speculum ani, speculum uteris and other dental tools, that have been found in the The Surgeon's home of Pompeii. A view of all the Surgical Instruments.